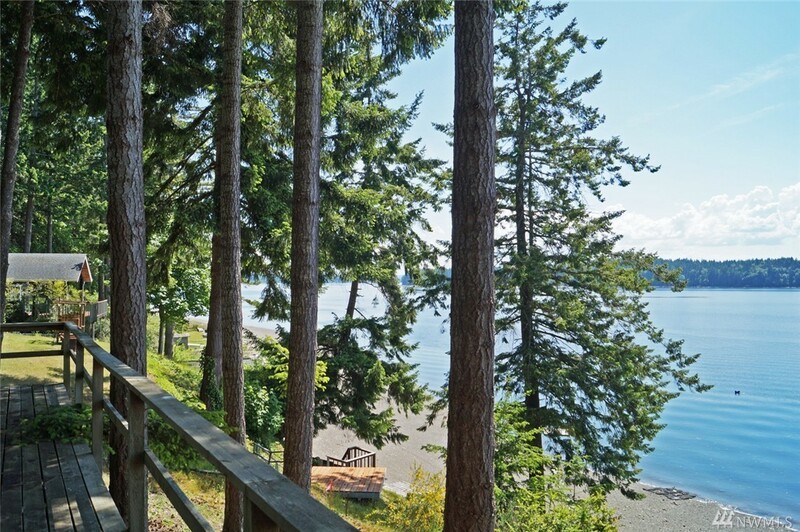 This is a very cool 4.23 acre, W/SW facing beach property with 170' of frontage & tidelands included. Also has an old cabin that might be restorable. The sand & gravel beach is perfect for water sports & it is a very short hop in a boat to Boston Harbor Marina. The upper portion of the property is heavily timbered & the view from the home site is open & expansive. Fix the cabin up for summer fun or build something new in its place. Another 170' & 3.50 acres is also available. Lots of beach!